It’s Pride Month, baby! What better time to celebrate diversity, inclusivity, and unity than during the proudest month of the year? Grab your partners and allies, fly your flags, and show the world who you really are! We’ve gathered some of our favourite moments, marches and celeb endorsements that have happened (so far) during 2018 Pride Month. 1. 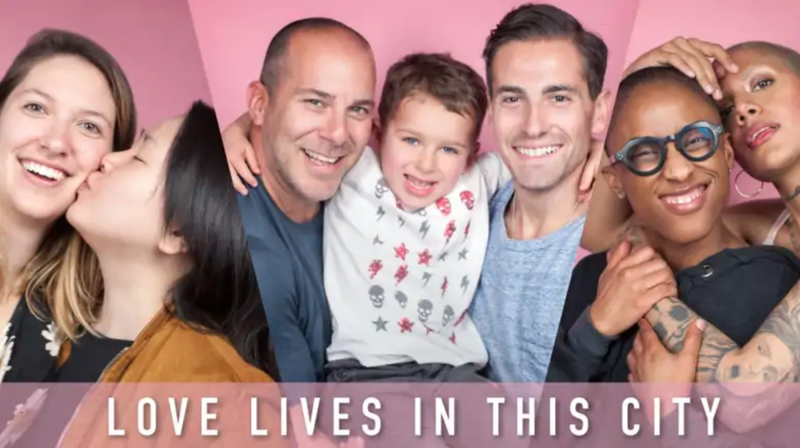 On June 1, Jessi Cruickshank kicked off Pride Month by sitting down with an adorable group of kids to talk about gay loved ones, celebrities and being a gay ally. While the video is cute and entertaining, it also shows just how far we’ve come in teaching inclusive attitudes in children. 2. Pride Month in Toronto launched with a 1,000-sq ft art installation at city hall! "I think that public art, especially in spaces that don't always see LGBT content, can be a remarkable asset for building social progress," said Adam Zivo, executive director of the campaign. 3. As part of Billboard's 30 Days of Pride celebration, they asked numerous pop culture luminaries and icons to write 'love letters' to the LGBTQ community. Read them here and share your own love letter to the community using #30DaysPride. 4. When Taylor Swift sent her love during her June 3 Reputation tour stop in Chicago: “It’s very brave to be vulnerable about your feelings in any sense, in any situation. But it’s even more brave to be honest about your feelings and who you love, when you know that it might be met with adversity from society. And so this month and every month, I want to send out my love and respect to everybody who has been brave enough to be honest about how they feel, to live their lives as they are, as they feel they should be, as they identify." 5. As of Friday, June 8, Albertans now have three gender options for identifying documents: ‘F’, ‘M’ and ‘X’. “This is an important step in supporting transgender people, those who are transitioning, or who do not identify with a specific gender. The ‘X’ marker also offers privacy to those who don’t wish to disclose their gender,” Premier Rachel Notley said. 6. Alberta Premier Rachel Notley was living her BEST life at Edmonton Pride Parade on June 9. Busting moves, petting puppies and delivering inspiring speeches, while dressed in rainbow colours, doused in glitter and smiling ear to ear! 7. Huffington Post took us a on a trip down memory lane with these amazing photographs of Pride celebrations throughout the years! 9. Pride Month is about remembering just how far the LGBTQ movement has come. We feel so refreshed and recharged after reading these inspiring Pride Month quotes from some of our favourite LGBTQ2+ activists, celebrities, authors and more.